We’re really excited to announce the launch of our new Aviator range and the first beers will be available from this weekend. 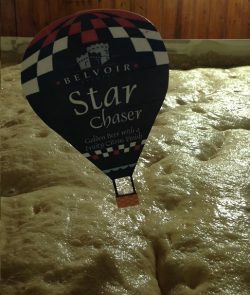 The range is inspired by the Brewery Balloon and as a result Colin has come up with a fantastic and unique design for the new pump clips. The first two beers from the range will be available this weekend at the Melton Mowbray Choc Fest which will be held at the Cattle Market on Saturday and Sunday. 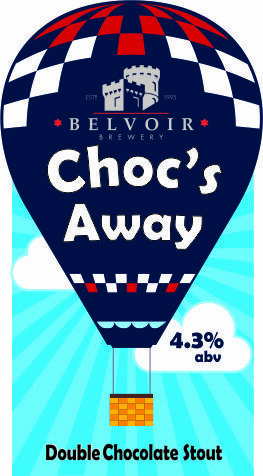 Choc’s Away is a gorgeous 4.3% Double Chocolate Stout and it went down a storm in the brewery tasting session to decide which chocolate beers would get the nod (well…somebody has to test them!). The second beer chosen was something a bit different…and it’s certainly something a bit special. 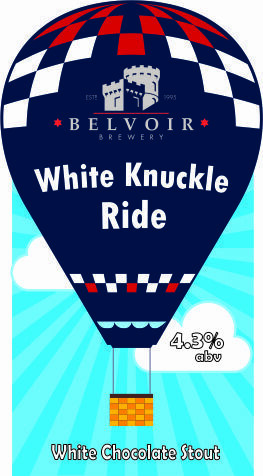 White Knuckle Ride is a 4.3% White Chocolate Stout and although it’s probably not the first thing you’d think of for a Chocolate beer it really does work, and the result of our tasting session proves it! Choc’s Away is a one off beer so make sure you get down to the festival to enjoy a pint otherwise you’re really missing out. The good news is that White Knuckle Ride will be available in the future so make sure you put a word in with your local landlord and you won’t be disappointed. Choc Fest is open from 10am – 5pm on Saturday and 10am – 4pm on Sunday so if you’re lucky enough to make it please let us know what you think of the beers. 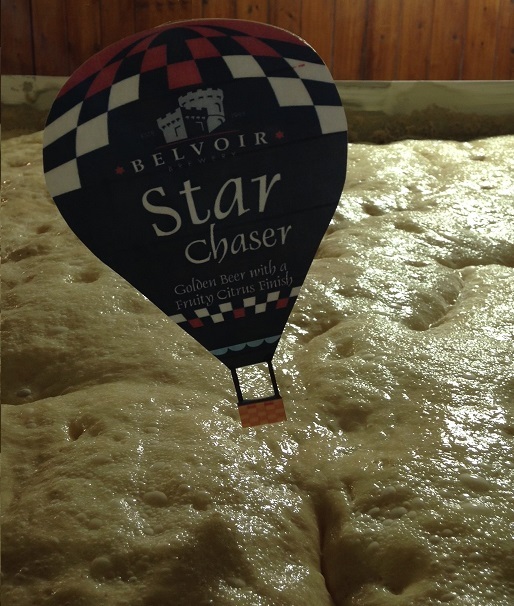 The third beer from the range will be this year’s festive special. 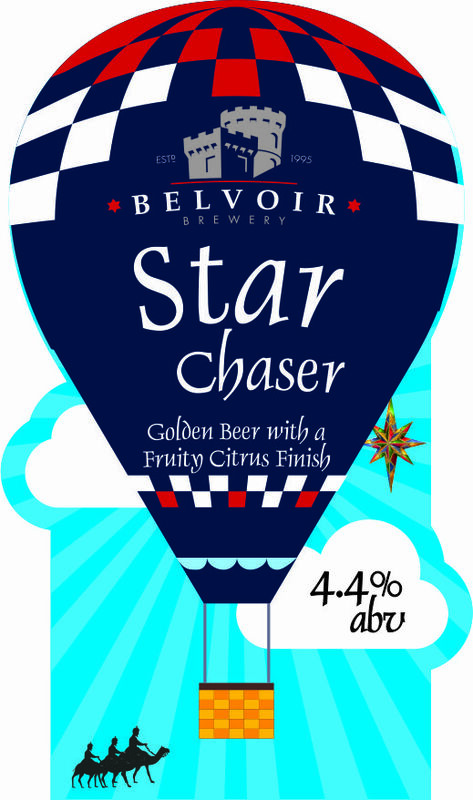 Star Chaser is a 4.4% refreshing golden beer with a generous citrus fruit aroma, and if it tastes as good as it smells then whoever is lucky enough to enjoy it is in for a real Christmas treat. 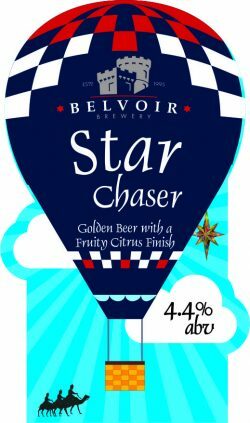 Star Chaser was brewed on Wednesday and will be racked next week so is now available to order…and as an added bonus, if you order a firkin of Star Chaser along with two other firkins of our beer we’ll throw in a copy of our 2017 Belvoir Brewery calendar…for free! 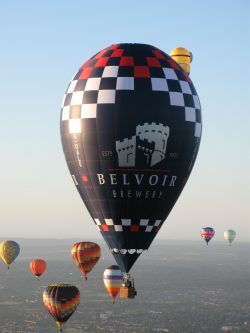 Featuring six great photos of everything beer, it also has six fantastic photos of our Balloon out and about on its travels along with various interesting beer related dates throughout the year. The calendars will be available to buy from the brewery for a very reasonable £5 and of course will make an excellent present for any lover of beer…or balloons…or both! 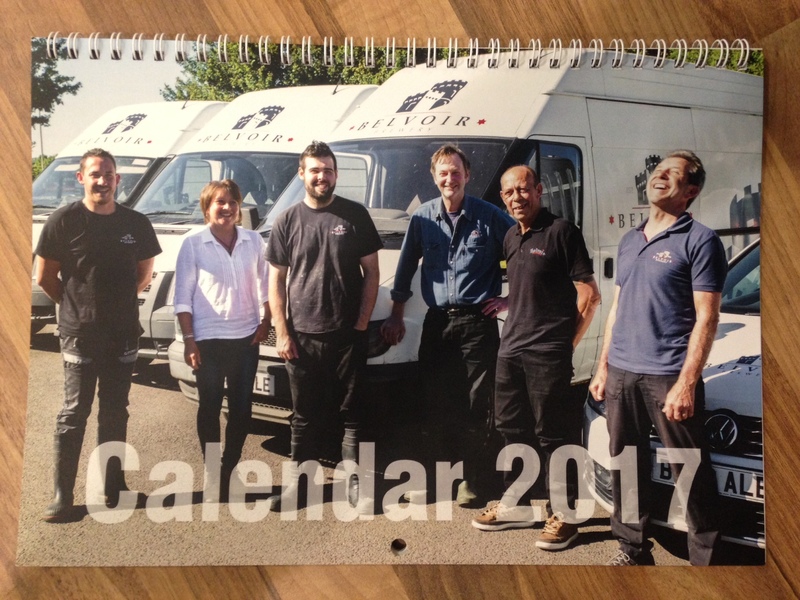 Looking ahead to 2017 we’ll now be aiming to brew an Aviator special every month so keep checking our social media for news of some new and exciting beers coming out of the Vale. It’s Friday so go and enjoy a pint…Cheers.